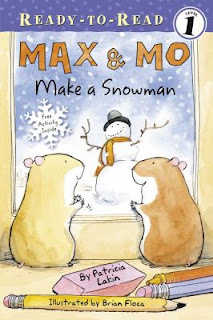 Our 4th pick for our count down to Christmas with picture books (containing crafts or recipes) was Patricia Lakin's Max & Mo Make a Snowman. 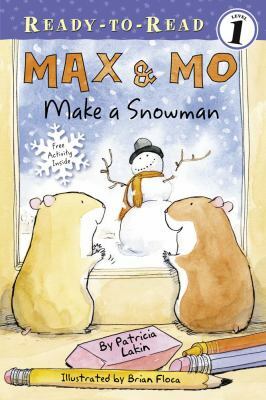 It's an adorable easy reader, about a couple of very sweet classroom pets, who want to join the children, on a winter day, outside making snowmen, at least until they start outside, and realize how cold it is. Instead, they gather supplies from the classroom's "odds and ends" box, and craft a paper snowman, inside where it's warm. The book includes instructions for the snowman craft. ...without mittens or coats required. Linked to stART (story + ART) at A Mommy's Adventures. I love their snowmen! They're so cute. Today we had snowman pnacakes for breakfast and we made paper plate snowmen. I got the idea over at homeschooled-kids.com in her advent calandar. It's been a fun first day of December over all. *smile* Sincerely, Mommy of two little blessings & so much more! Max and Mo are smart! I would much rather stay in the warm house and craft a snowman :) Plus, no extra laundry that way! Great craft. Anna enjoys this series, but I didn't see this particular book in the library. A perfect craft for your younger ones.